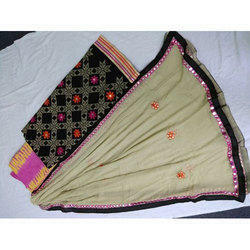 We have been able to bring forth the clients a remarkable collection of Chanderi Suits. These enhance the personality of wearer and are highly praised by our clients due to their superior quality and feasible prices. 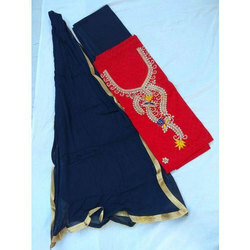 We are making all kind of gotta patti products in suits or sarees Which is made by hand. Good Quality of Row materiel use in (fabric or color) and take 100% Guaranteed of it. High Quality Finishing, Smooth texture, and Comfortable to wear and also Skin friendly colors used. 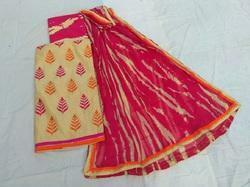 We are prepares in all kind of thing in hand block printed item in sanganer jaipur. 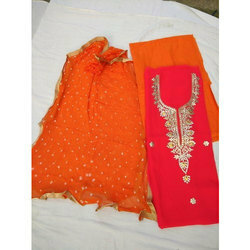 We are a prominent manufacturer engaged in offering Jaipuri Gotta Patti Top Suits. Our offered kurti has an elegant design and thereby is highly appreciated among our clients. We are recognized as foremost manufacturer, exporter, distributor and supplier of premium quality Buti Design. For designing this buti design fabric we use optimum quality fabrics which add one more feature on its quality. Our given buti design fabric is made according to the latest fashion trend and provided in bulk quantity. We check our gamut of buti design fabrics on predefined standards which is set by the industry. 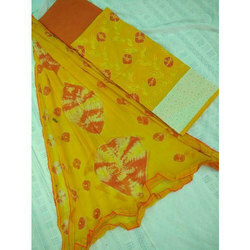 Also, our customer can take this buti design fabrics at nominal rates. 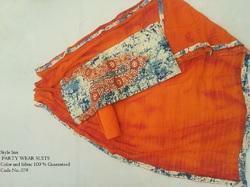 Hand embroidered gotta patti work and sleeves beautify kurtis top unstitched suit. 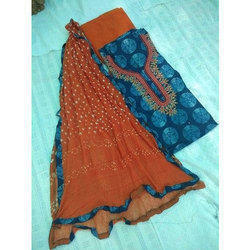 Dupatta is finished with also gota work . We can customize this product as per requirement. We are manufactured from high-grade quality material and is duly tested on various quality parameter by our experts.Range of Party Wear Suit suit is specially designed by our professionals in compliance with the current fashion trends. We have expertise in manufacturing, exporting, wholesaling and supplying an exclusive range of salwar Suit or sarees Sets.